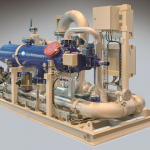 Optimarin offers state of the art Ballast Water Treatment System – compliant with both IMO and USCG regulations. 24 years of experience using filter and UV to treat ballast water in a way that is friendly for the environment. 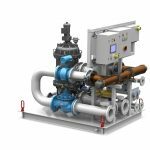 Optimarin ballast water treatment system combines simplicity with innovation. We utilize a combination of automatic back flushing, self-cleaning filters and powerful UV irradiation to neutralize all potentially invasive species in the water. With a modular nature, the system is flexible and easy to install on any vessel (newbuild and retrofit). Even those with the most restrictive space demands. Our solution does not use nor generate chemicals in its process. Most importantly: It is simple to operate and maintain. Whatever your vessel, whatever your operations, whatever your individual requirements – Optimarin has the experience and technology your business demands. 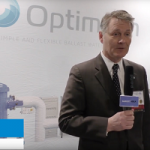 No one knows ballast water like Optimarin. 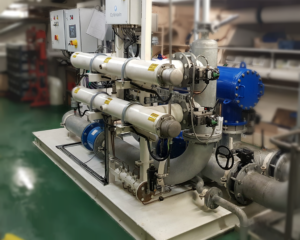 We were the first ever company to install a commercial ballast water treatment system, in 2000 on-board the Princess Regal, and have been refining our technology ever since. We are committed to supplying systems that protect both the environment and the commercial interests of our customers. We know this industry and we understand your needs. Are you ready to take the next step towards an Optimarin ballast water system? 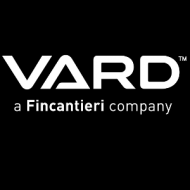 We would love to provide more information or a quote for your specific vessel. 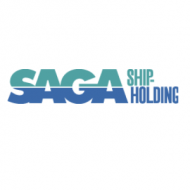 SAFETY4SEA Interview with Birgir Nilsen, VP of Business Development, Optimarin at CMA Shipping 2019, 2-4 April, Stamford, Connecticut, USA. Discussing what to consider when choosing a ballast water treatment system and about the implementation challenges. © 2019 Optimarin All Rights Reserved.